Metallica : Master of Puppets (live) from Metallica movie "Through the Never"
Trash Metal legend Metallica has posted the live performance video of their classic Master of Puppets off from “Metallica – Through the Never”. The live video runs for almost nine-minutes and shows Metallica performing “Master of Puppets” live onstage, as well as random shots from the movie. 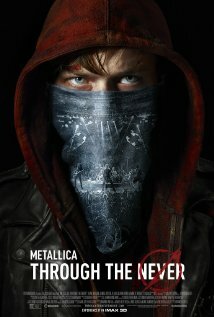 According to the plot of the movie, Trip, a young roadie for Metallica, is sent on an urgent mission during the band’s show. But what seems like a simple assignment turns into a surreal adventure. The movie has 82% rating at Rotten Tomatoes and rating of 7.7/10 in IMDb. The movie was released on September 27, 2013. Childwife release new EP, stream full album up! Nepal Underground :: The Underground Revolution Copyright © 2019.